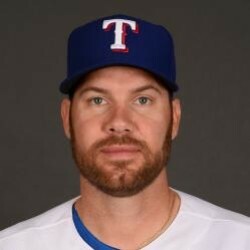 After reports stated that Lewis was being considered by the Twins, reports said that Minnesota is not actively pursuing the 37-year-old. Lewis missed three months last season with a lat injury, but had a 3.21 ERA in 15 starts before the injury. He was 6-5 with a 3.71 ERA last season. Lewis worked six or more innings in 13 of first 14 starts last year before hitting DL and won 17 games in 2015, providing a veteran for a young Twins' staff. While the Twins may be off of Lewis, they do need help at the back of the rotation and Lewis has seen his ERA drop in three consecutive seasons. He is no more than a streaming option in mixed leagues, but he did have 13 quality starts in 19 starts last season.